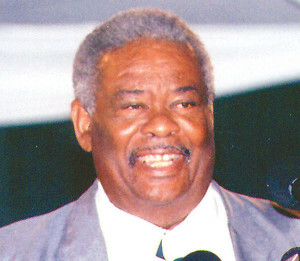 Leader of the Opposition, and Former Virgin Islands Party (VIP) Chairman Hon. Ralph T. O’Neal while endorsing Virgin Islands Party Ninth District Candidate, Elton “All Out” Sprauve lashed out against rumours that he said are being circulated against him, and his promise to take to the airwaves to make certain announcements. The former VIP Chairman announced that there is a culture developing in the BVI where the small man is not considered, and he said that he prepared to defend against that culture at anytime, because the VIP has to defend the small man. The great statesman endorsed the new Party head, Hon. Julian Fraser: “This gentleman here — Fraser, he is now Chairman of the Party and they are spreading all kinds of rumours on him too. They say how he is this, how he is that, the other and so on. I have worked with the man.” “I have worked with him, and he is a good thinker. He is a very good thinker and some of the people who they think they have would tell you that their side has the best and brightest set for Council members. So did you mean we had lawyer — QC, we had an architect, we had Fahie who went to college was a teacher, you mean they ain’t got no brain,” Hon. O’Neal added. As it relates to the financial claims of the Government, Hon. O’Neal announced that he is going to make an announcement on the matter: “I know they are making a big thing about finances and management, but I am going on the air. As you know there is a saying in Revelation and the book was opened and another book was opened. Well I am going to open the other book and it’s going to be heavy,” Hon. O’Neal said.